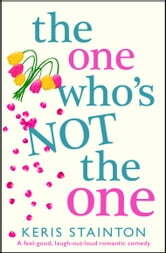 A hilarious rom com about falling in love, falling out of love, and finding out who you really are. 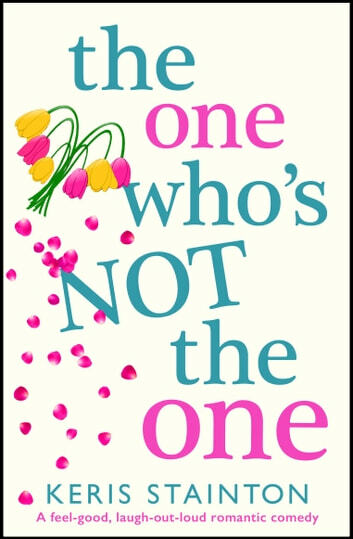 Fans of Jenny Colgan, Marian Keyes and Mhairi McFarlane will love Keris Stainton! I really enjoyed this story, my first by this author. Cat's life is in a holding pattern, and has been since her boyfriend left her to make it big in Australia five years ago. Same job that bores her, living with a flatmate (and boyfriend) who is a slob and inconsiderate, and following the same routine day in and day out, week after week. She admires her best friend's life (handsome, supportive, loving husband and adorable son, plus a rousing blogger business) and wishes she could have the same. But knowing that everyone leaves eventually (first her dad, then her ex) Cat is reluctant to put herself out there; why bother when it's all going to end in heartache? Every one of us can relate to Cat. Sometimes we look around for an adult, only to realise we're it. How did we get here? What happened to our dreams? Where is our happily ever after? Each one of us has to decide if we're going to step out of our comfort zones and grow up. Or at least learn to fake it better. Stainton's writing is clever, and moving. Her characters are fun and smart. The situations and growth that Cat experiences made me cheer for her, and hope that we can all live our best life. Bonus points for writing a child character without pandering to stereotypes. I highly recommend this book to anyone who has ever loved and lost, and lived to love again. And anyone who just likes a rousing good story in general.